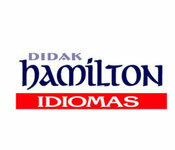 The aim of our scheme is to provide both, Spanish and English children, with a memorable experience. The Spanish children have the opportunity to be immersed in the daily life of a British family in order to practice and improve the language, the knowledge of the culture and a love for the country, whilst the English benefit from so many values learnt through such experience like sharing, caring, empathy, tolerance, patience, generosity, cooperation, communication skills, being a role model, teaching, and so on. We match the Spanish children and the British families very carefully to make sure they have features in common, such as personalities, style, hobbies,... in order to maximize the possibilities of bonding. We therefore look for “caring” families with children anywhere in the south of England, who would like to host a Spanish child from June 23rd to July 19th, 2018. A very generous allowance is offered to cover all expenses, and more. Since 1986 we have been organizing these trips, and we are very proud to say that in general terms they have been extremely successful. 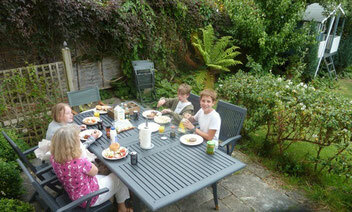 Past host families agree with us that it is a fabulous experience for all those involved. We often receive the most gratifying feedback from the families and the participating schools. The children have fun together and all the family benefits from the experience. It allows them to make a Spanish friend, many times turning into a long-life friendship. Any caring family with children between the ages of 12 and 16 can potentially be a host family for us. Having a spare room for the student is not an essential request, but if sharing, it would have to be with the child of the family, who would be taking the role of the “host brother or sister”. The Spanish child should be made welcome to the same school the host child attends. Most schools in the area are happy to support our programme, but unfortunately a few of them do not. They either cannot see the advantages this experience can add to their pupils’ education or they have particular circumstances that do not help. If that was the case with your son or daughters school you could still host if we found a local school the Spanish child could attend with a friend, neighbour or relative of the family. Click here to see a list of participating schools. If you cannot find your school on the list, please get in touch as it well may be that we have never had dealings with them. All members of the family over 18 will be requested to be DBS checked.